Every year in the United States approximately 2,200 people are killed and more than 55,000 people are injured in motorcycle accidents. Many of those injured are permanently injured, and they, and their families, will have their lives significantly altered. 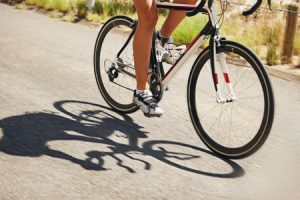 Bicyclists similarly have a high incidence of death and injury from vehicle accidents. Tragically, motorcyclists and their passengers and bicyclists have little protection when hit by a car, truck, or other vehicle. Even if they are riding safely and wearing a helmet, they are nearly defenseless in a collision. If you or a loved one has been injured in a motorcycle or bicycle accident, or if a loved one has lost his or her life due to a negligent driver, it is important to seek experienced and tenacious motorcycle accident lawyers or bicycle accident attorneys as soon as possible in order to seek full compensation. After an accident, it is often critical to examine the accident scene before the scene itself is changed due to weather conditions, changes in barriers, vegetation and other surroundings, and changes to street markings and traffic control devices. At our firm, we work tirelessly in seeking to obtain for our clients every penny to which they are entitled. This requires diligent discovery in order to identify all those who potentially may be responsible and to seek to hold them fully accountable for their role in causing injury or death. Bars and restaurants, if they overserved an intoxicated patron who subsequently causes an accident. We will want to understand and investigative full facts and circumstances leading to the crash, so that we can seek to hold accountable all those who may be legal responsible. Motorcycle and bicycle accidents that result in traumatic brain injury, paralysis, and other serious injury may have a lifelong impact. In these cases, it is critical to understand the complete impact, including future medical care and expenses likely to be incurred, so that full compensation may be obtained. In many cases, what might seem like a fair settlement at the outset will, in fact, be entirely inadequate to pay for future costs and care expenses for those severely injured. If you have lost a loved one in a motorcycle or bicycle accident caused by someone else, it is important that full compensation be paid in order to protect your interests and the interests your loved one’s family. As Louisville wrongful death attorneys, we will seek to document all compensation to which the survivors may be due, and to work diligently in seeking full and fair compensation. Please call us to today to get started with your case. Once we are retained, we can begin working immediately on your behalf. There is no fee for us unless we are successful in obtaining compensation for you. Based in Louisville, Kentucky (KY), Bixler W. Howland , P.S.C. represents all manner of auto and vehicle accidents, worksite and construction site accidents, serious personal injury, medical malpractice, nursing home neglect and abuse, and wrongful death in Lexington, Bowling Green, Owensboro, Bardstown, Georgetown, New Albany, Carrollton, Evansville, Madison, Louisville Jefferson County, Central Kentucky and southern Indiana (IN). Attorney Advertising. This website is designed for general information only. The information presented at this site should not be construed to be formal legal advice nor the formation of a lawyer/client relationship. We are here to help you, give us a call if you have been unjustly injured.